This race begins outside Waterford City Hall in Waterford and finishes opposite the Majestic Hotel in Tramore. 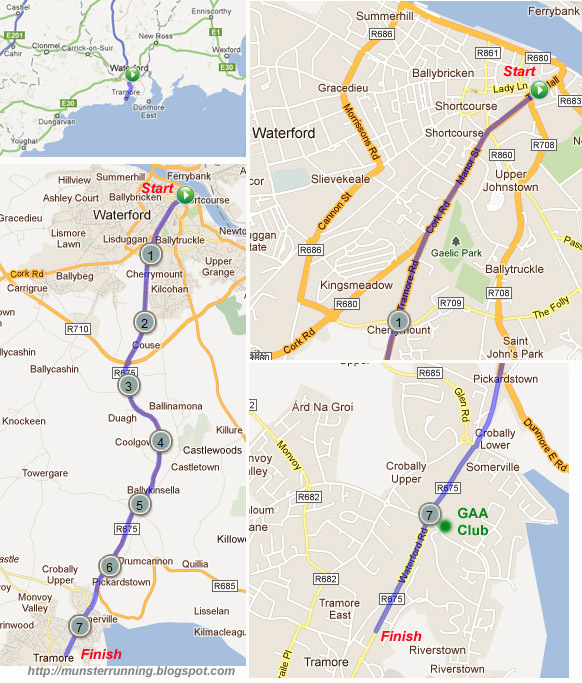 Note that runners need to organise a lift back to Waterford to collect your car. Changing and shower facilities plus refreshments and prize-giving usually take place in the Tramore GAA clubhouse after the race. 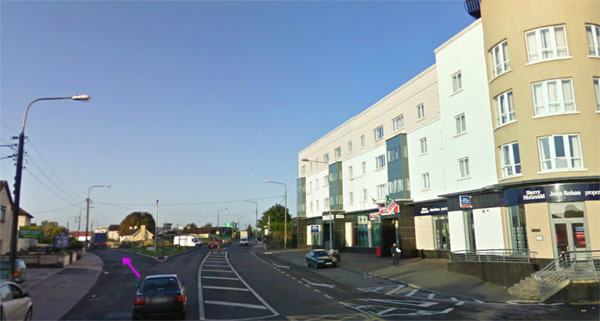 Near the one mile mark, you reach the Tramore Road Roundabout....a flat and fast first mile. You go through the roundabout and out the other side. Now the road heads south on the road shown below......no hard shoulder and dead flat. ......and levels off again at about the 5 mile mark. From there, it's just a half mile jog back to the GAA hall for the post race refreshments, showers and prize giving. Overall........A reasonable amount of climbing on the course but the hills are very gradual and easy to handle. A lot of running inside a hard shoulder of a busy road. An unusual distance but perhaps the main attraction of the race is for people to start in the heart of Waterford City and to end up on the south coast in Tramore. A popular race with local runners.